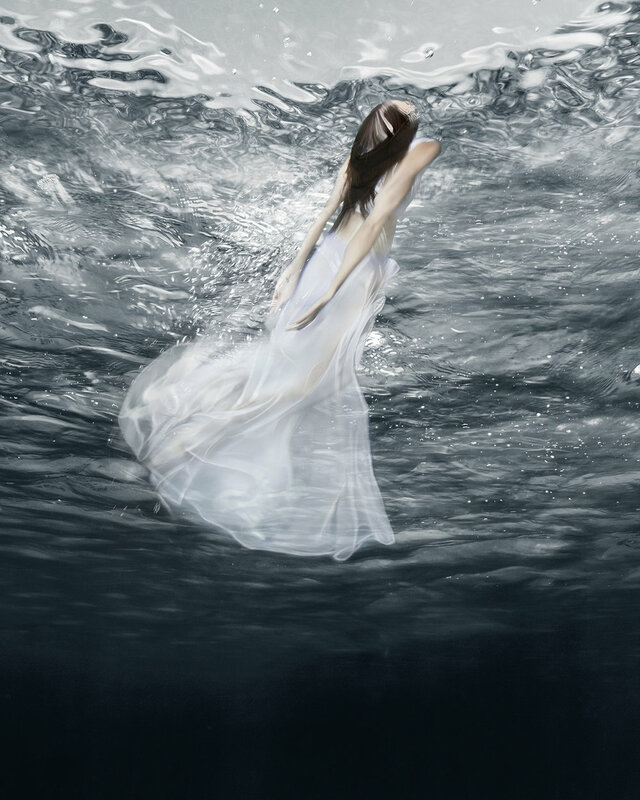 Artist Barbara Cole’s newest collection of works in the upcoming exhibition, Surfacing, represents triumph, survival and self-actualization. 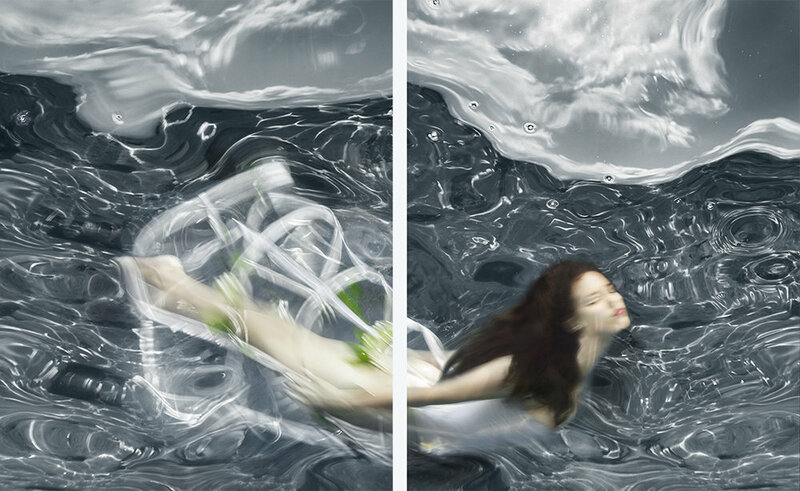 It is a series of photographs of rising, shimmering figures against the enigmatic backdrop of the ocean. 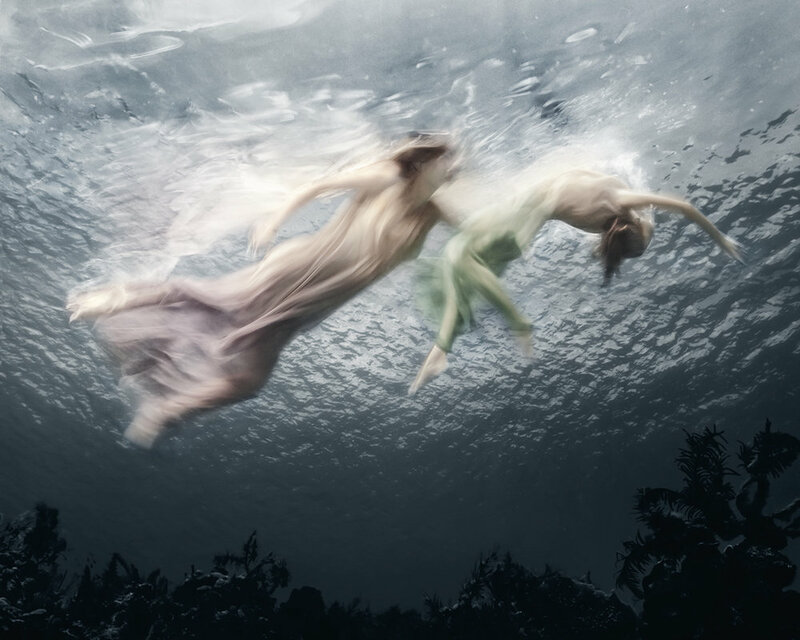 Like many of Cole’s other underwater images, there is a fantastical elegance to this body of work. This series, fueled by personal history in many ways, is an ode to the power of will and strength to overcome. The art in Cole’s Surfacing exhibition not only to opens up a dialogue on mental health, but also helps to make those who are suffering silently aware that there are resources accessible to them. Cole is working with the organizations Bell Let’s Talk and the Campaign to Change Direction to further their initiatives in spreading awareness and de-stigmatizing mental health issues, as well as highlighting the accessibility of getting help by providing links and resources for those in need. Cole has also been working closely for years with Swim Drink Fish, a prominent Canadian water conservation organization dedicated to protecting and ensuring the safety of recreational water sources in communities across the country. Their other initiatives including the Swim Guideand the Watermark Project focus on safeguarding local bodies of water so future generations can enjoy them. Here is a small preview of the images for Surfacing 2019 which is traveling to Montreal, L.A., Vancouver and finally Toronto this fall. Read Barbara’s personal story about this body of work here.